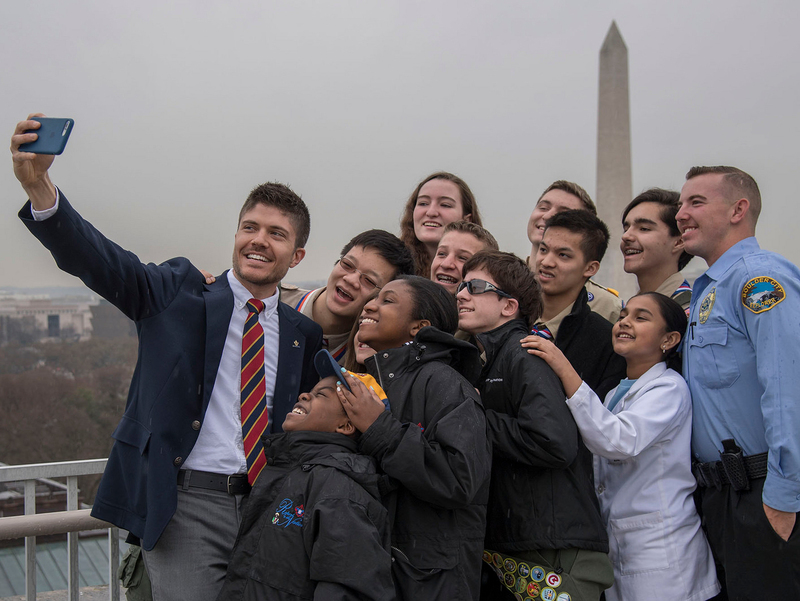 The National Outdoor Awards, which debuted in 2010, are how the BSA recognizes Boy Scouts, Varsity Scouts, Sea Scouts or Venturers who demonstrate knowledge and experience in high-level outdoor activities. Young people can earn badges in one or more of these six areas: Camping, Aquatics, Conservation, Hiking, Riding and Adventure. Once earned, the patch and segments can be worn in the temporary patch position — on the right pocket. Go here for the full list of requirements for each of the six National Outdoor Awards. Now that you’re up to speed on the basics, let’s discuss one very specific detail. Thank you very much for running your column. It is my go-to place to begin looking for a Scouting-related question. Also, I hope that the Jamboree was as fun for you as it looked to me as an offsite observer. Thanks for the question, Tony. For the answer, I went to Rob Kolb, outdoor programs specialist at the BSA’s National Service Center. Does the National Jamboree count toward the National Outdoor Award? Yes, attendance at the Jamboree can count toward requirement 3G of the National Outdoor Award for Adventure. The requirement states that Scouts or Venturers must “attend any national high-adventure base or any nationally recognized local high-adventure or specialty-adventure program.” The Jamboree qualifies. Bottom line: The Adventure segment of the National Outdoor Awards asks Scouts or Venturers to complete 10 adventure activities. The Jamboree can count as one of those 10. BSA photo by Al Drago.